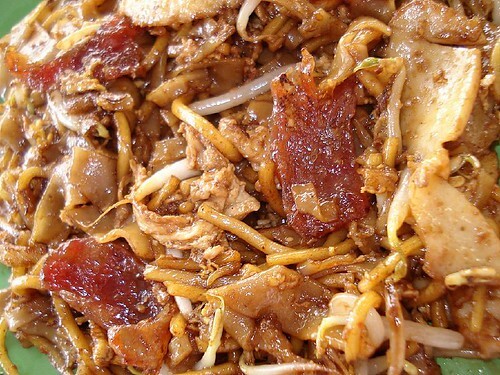 Char Kway Teow from Soon Lee, originally uploaded by Camemberu. This stall is one of the two side-by-side at Blk 75 Toa Payoh Lorong 5 offering char kway teow but purportedly on a friendly, non-competitive basis. The other shop was not open, so I tried this one. Well, my first bite told me I didn't need to go on. This paled way in comparison to the Hill Street Fried Kway Teow (both Bedok South and Chinatown versions). Bland, limp, soggy with sausages that reeked of rancid oil. Oh well.